On this week’s show, we take a look at the unique dangers of chemical abortions—Dr. 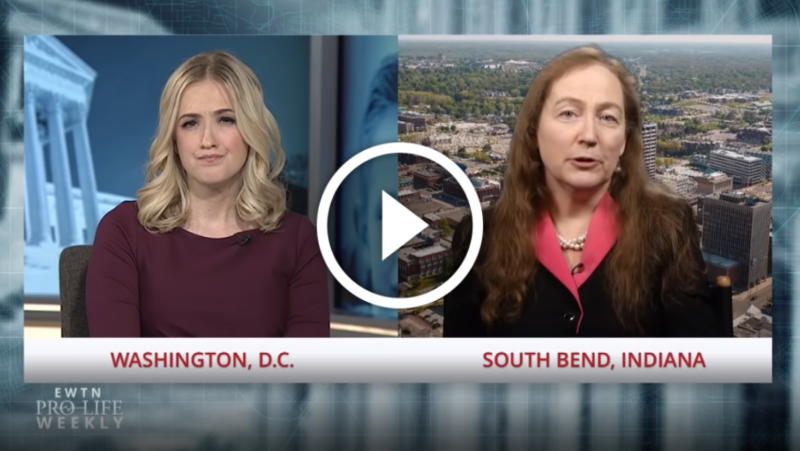 Donna Harrison, Executive Director of the American Association of Pro-life Obstetricians & Gynecologists, Brad Mattes, President of Life Issues Institute, and Marilyn Musgrave, Vice President of Government Affairs for the Susan B. Anthony List, join us for analysis. A 24-year-old Honduran woman recently gave birth to a stillborn baby boy in a Texas detention center and the administration isn’t considering the child an “in-custody death” – Bishop Mark Seitz of El Paso joins us for reaction. Pro-abortion groups recently celebrated a “National Day of Appreciation for Abortion Providers” – Catherine Hadro “Speaks Out.” And we bring you the story of Save the Storks’ Victoria Robinson about her journey from post-abortive mother to pro-life leader. We’re partnering with EWTN to produce this weekly pro-life show that will not only update you on the latest updates in the fight for LIFE, but will also provide you with opportunities to take action to end abortion!